While the story of what happened fifty years ago in Selma is a compelling one, I care about what happened in that city for personal reasons. 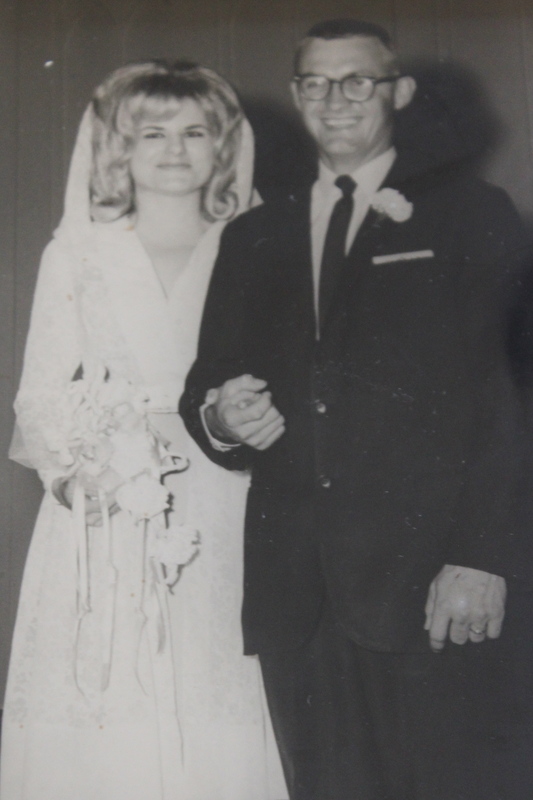 This week marks the anniversary of the wedding of my parents in Selma, Alabama fifty years ago on April 25th, exactly one moth after Rev. Dr. Martin Luther King, Jr. gave his speech on the steps of the capital in Montgomery. The very thought of me was conceived on the soil of Selma, Alabama. If the movement had not returned to Selma, I may have never been born. My father was from a small town in Ohio and drove down to Selma for work and to see the news up close. An Army Veteran, he was used to living and working among people from diverse backgrounds. He worked in Selma as a day laborer alongside other African Americans of that time. He met my mother at a drive-in restaurant thus began their courtship. As the story goes, apparently the FBI called my mother at home and asked her if she knew who she was involved with—that he was driving black men around Selma. My mother was a divorcee with four children. 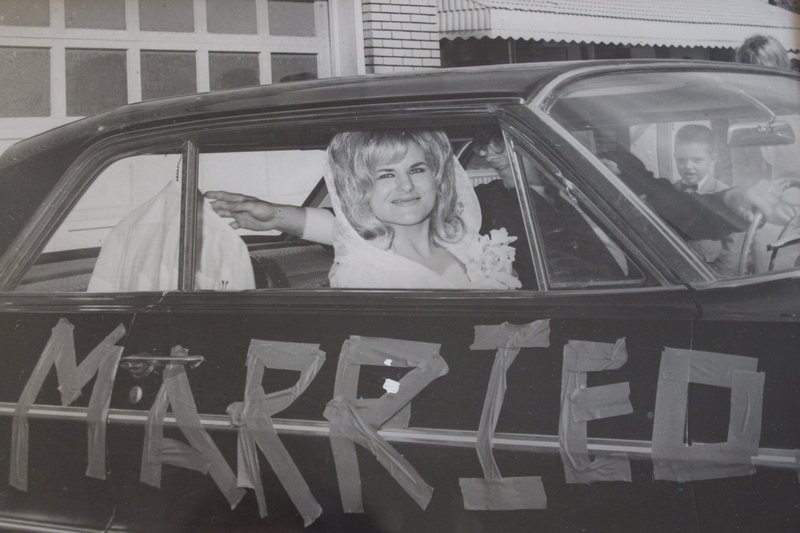 While the call concerned her, she was undeterred and they married on April 25, 1965. She and my father along with her four children piled into the car and headed up north to live in a small town in Northwest Ohio surrounded by farm country. While Selma was the center stage of the civil rights movement, Northwest Ohio was not. A divorcee with 4 children, she remarried and moved from Selma to Northwest Ohio, leaving Selma behind and her story with her. When Granddaddy said “Goodbye” to my parents as they left in the car to head north to Ohio, he told my mother. And so, my mother kept silent and hid her first hand experiences of what happened in Selma, Alabama from everyone, including me. I never knew that my parents were courting in Selma at the time of this historic march until just a few years ago when I pressed my mother to break the silence. In 1960 Selma, Alabama boasted a 25% growth rate with over 28,000 people living within her city limits. The population was fifty percent white and fifty percent black. Though African Americans had the right to vote, almost none had been able to successfully register to vote in any election up until 1965 because of the systemic oppression of the local government and the tacit agreement given in every white pulpit in the city… including the pulpit of my Granddaddy. You see my grandfather was a minister of a small church in Selma, Alabama during the Civil rights movement. On Sunday March 7th when Christian leaders marched peacefully across the Edmund Pettus Bridge for voters rights and were attacked by mounted police, he was not among them. When Rev. King on National television made a public call for clergy and people of goodwill from all around the country to join the people of Selma on their March from Selma to Montgomery, he did not answer that call. 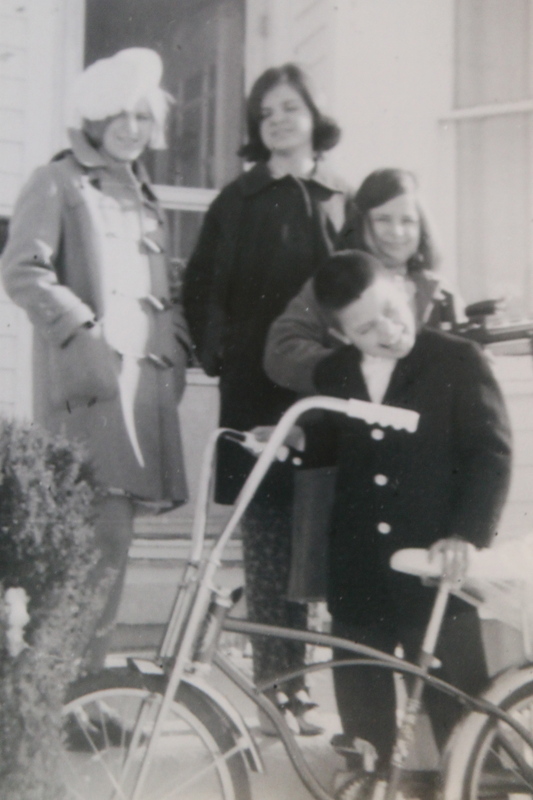 My three sisters and brother soon after they arrived in Ohio, circa 1966. My mother and her four children did not attend the successful march on Sunday March 21st, nor did my father. My family was there, but they were not among those who risked their lives to stand for justice. I suspect their eyes were not open to the oppression imposed upon their African American brothers and sisters. I imagine they thought they were living the best Christian lives they could, just trying to get by, as the daughter of a preacher, divorced in 1965 with four young children. I know that Granddaddy wanted to protect his daughter and four grandchildren from the violence erupting within his own city…murder, beatings, rallies and marches. He was only too happy to send his family out of the war zone. Paul in Romans gives us our marching orders in the face of evil and oppression. “Let love be genuine; hate what is evil, hold fast to what is good.” I imagine that Rev. King knew these verses well and that the Movement lived and died by them. “Bless those who persecute you; bless and do not curse them. Rejoice with those who rejoice, weep with those who weep…Beloved, never avenge yourselves, but leave room for the justice of God…overcome evil with good.” Their non-violent movement was intended to illustrate the atrocities that African Americans faced daily in Selma and elsewhere—they lacked access not only to the vote, but they lacked access to every day rights that people of privilege take for granted. It is so easy to think that the problems our nation faced in 1965 are over, that voter rights no longer need to be fought for. It is easy to believe that systematic persecutions are artifacts of the past—like the Roman Occupation of Israel we read about in the Bible or the backward ways of the Old South from our own American History. Yet, we are seeing erupting on the national stage civil rights abuses in great numbers reflected in case after case…in towns like Ferguson and all around our country. It is too easy to say, “Well that was then, and this is now.” Then is now. With the national eye on Ferguson, MO we hope that this community and others like it will be transformed into a safer more equitable places to live. After all, Selma is better off now, right? Unfortunately, Selma experienced a great exodus of capital, jobs, resources and people after the voting rights bill was passed. The 1970 census shows that the city experienced a 35% decline in population. They are now 80% percent African American, with over 40% of its people living under the poverty line. The per capita median income is $29,000. I have traveled to Selma many times over my life while my Grandparents were alive and leading their small congregation about one mile from the Edmond Pettus Bridge. Each time I went there I saw a city frozen in time, unchanged, as if they were caught in a photograph documenting the poverty and plight of the African American of the 1960’s. What happened to Selma? How can we as a nation be reconciled to her? We owe that city a great deal more than one movie and a presidential visit. What about Ferguson, what about our own communities? What can the church today do? What can we do? How can we bring reconciliation and restoration? Jesus words in Matthew echo in my brain, “First be reconciled to your brother and sister, and then make your offering to God.” While my civil rights story is not one of striding hand in hand facing blows together in the street or on the Edmund Pettus Bridge, I have learned a great deal from my courageous mother. She dared to teach me how to be friends with people from a variety of backgrounds and faiths. My friends come form many ethnic groups and religions. You see what happened in Selma, AL happened to my family also. My people come from Selma too and this is my story. It is the legacy and history that I dare to pass on honestly to our two teenage children. My children in their school and among their friends stand up against injustice and count the lessons we learned from Selma as their own so they they may continue the work for the civil rights for all people. But they had to first come to terms with the fact that their family was among the thousands who did not march that day. May we break our own silence and stand together. Incredible story. Thank you for sharing this side. Of course your Grandfather did what he had to in order to protect his family. Thanks again for sharing. Thank you for reading my blog and for your comments. To answer your question, I think where we begin is to enter into the conversation. To engage with people in our communities who experience discrimination on a daily basis just because of the color of their skin. It is my hope that we–people of untold privileges–will be allies, partners, friends, and advocates in the very real struggle for human rights and fair treatment for all our black and brown brothers and sisters. At the very least, let us not be a part of the problem, but a small part of racial reconciliation.